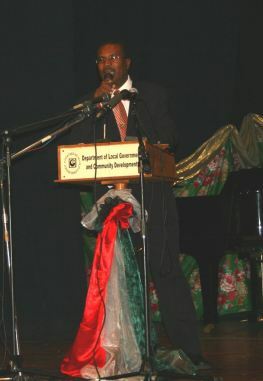 Roseau, Dominica – December 24, 2007………… Minister for Economic Development and Urban Renewal, Hon. Julius Timothy has unveiled aspects of Government’s plans to transform the Capital City of Roseau as part of its Roseau Development Plan. The Minister made the remarks at the Ninth Inaugural Meeting of the Roseau City Council held recently at the Arawak House of Culture. According to the Minister, the Plan seeks generally to address the improvement the physical environment of the Roseau Area, overall development of the City, particularly housing and improvement of the Tourism assets in Roseau. In his address which was also attended by the President of Dominica, Dr. Nicholas Liverpool, Prime Minister, Hon. Roosevelt Skerrit as well as other members of Cabinet, Hon. Timothy explained how the Urban Renewal Programme, which includes the Roseau Development Plan will be undertaken.